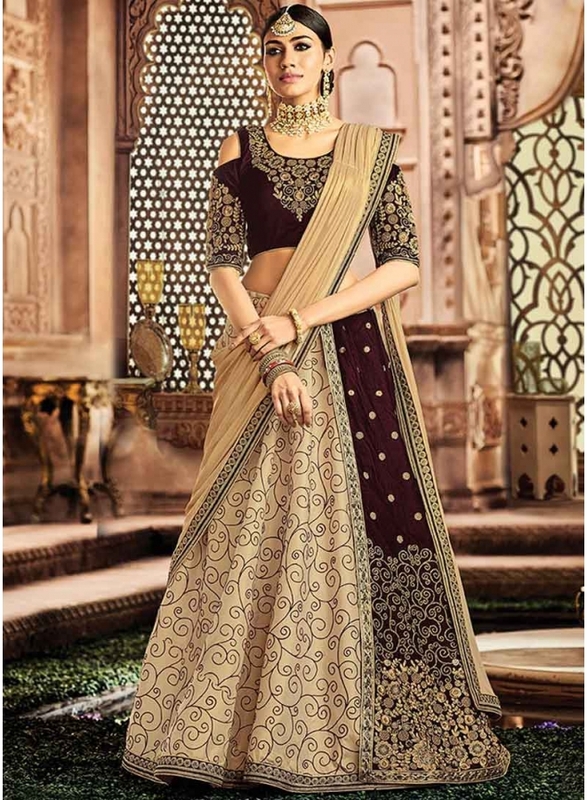 Maroon Cream Zari Embroidery Work Silk Velvet Heavy Designer Lehengas. Buy online shopping lehenga choli at - UK. Maroon Cream Zari Embroidery Work Silk Velvet Heavy Designer Lehengas. This beautiful choli is designed by various fabrics like; Silk And Velvet lehenga , Velvet blouse With Designer Work , santoon inner and Lycra dupatta. Heavy Embroidery Cord And Zari work, stone work and patch border lace work is done in lehenga. Patch border lace is done in dupatta.